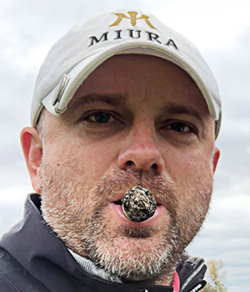 **TOP 15 RANKED CAPPER FOR 2018** Jimmy Boyd is working on a massive 807-714 Run that has $1,000 Players Profiting $64,000! Now is the perfect time to get signed up! Now on a 52-42 run with my last 98 NBA picks! $1,000/game players have cashed in $11,650 on my NBA picks since 03/05/18 and $61,620 on my NBA picks since 12/31/08! Oakland snapped their mini 3-game losing streak with a 6-1 win in Monday's series opener against the Rangers and I'm confident they build on that with another win today. The A's pitching staff held the Rangers to just 1 run on 6 hits with 13 strikeouts in yesterday's win. Texas is just not the same offensive force on the road as they are at home and that's a problem with their sub-par pitching staff. Oakland will send out Frankie Montas for Game 2 and he's 3-1 with a 2.70 ERA and 0.943 WHIP in 4 starts. That includes a perfect 2-0 record with a 1.46 ERA and 0.649 WHIP in 2 home starts. Rangers will counter with Lance Lynn, who has a 4.44 ERA and 1.315 WHIP in 4 starts. A's are 40-19 in their last 59 home games, including 17-5 in their last 22 home games vs a team that's won fewer than 40% of their road games. They are also 24-10 in their last 34 during Game 2 of a series and 51-23 in their last 74 vs a starter with a WHIP greater than 1.30. Take Oakland! Red-Hot 57% (84-64) Over L30+ Days. A nice little hot streak that has brought home $18K in Profits! Boyd is ready to unload on the books with Tuesday's 4-Pack of Profits. This premium bundle includes Jimmy's 5* NBA Playoffs Heavy Hitter PLAY OF THE MONTH! You will also receive his 4* NBA Playoffs Over/Under Total NO-BRAINER, 3* NBA No Doubt ATS BLOWOUT & 3* MLB Interleague PLAY OF THE DAY! These 4 plays individually would cost you roughly $160 to buy, but with this special offer you get all 4 plays for the low price of $69.97 (YOU SAVE $90)! You are GUARANTEED TO PROFIT or you will get Wednesday's entire card (every play released) for FREE! I fully expect the Raptors to make easy work of the Magic and cover the big spread in Game 5 at home. It's been all Toronto since Orlando's upset win on the road in Game 1. Raptors responded from that loss with a resounding 111-82 home win in Game 2 and are coming off a 107-85 victory in Game 4 at Orlando. The Magic know they are done for and the Raptors should be plenty motivated to put an end to this series on their home floor. Factor in the massive talent gap between the two teams and it should all add up to a blowout victory. Toronto is now 9-1 ATS in their last 10 at home in the month of April and a perfect 9-0 ATS at home over the last 2 seasons when coming off a game where they held their opponent to 90 or fewer points. Take Toronto! After stealing Game 1 on the road, Brooklyn has lost 3 straight and are off both an emotional and physical loss in Game 4 at home, where the refs missed some calls late that could have changed the outcome. I think the Nets are in the state of mind that they got no chance because of how the officiating is going. That's not an ideal mindset going on the road in an elimination game against a team that simply is more talented. We saw the 76ers win convincingly in both Games 2 and 3 to take back control of the series and I expect a similar effort in Game 5 at home with a chance to put the series to rest. Take Philadelphia!